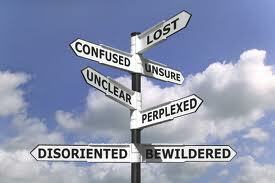 Living in a World of Uncertainty, Confusion, Chaos, and Pain? Are you Single & Alone? Is your life filled with uncertainty, confusion, chaos, and pain? Let me introduce to you He who reigns king over chaos & pain! From the start, Jesus life was besieged by supernatural opposition and satanic chaos. The Lord of Creation sent His Beloved Son into a world marred by sin but his presence did not vanquish the pain and trials the world groaned under, rather for a time, it seemed to heighten and intensify them. The arrival of Jesus cost Mary and Joseph their reputation and honor. Within years of his prophesied birth, the anguished cries of mothers filled the air in the streets of Bethlehem as the lives of all male babies, ages five and under were slaughtered by a wicked ruler driven by maddness to preserve his kindgom. John, who faithfully proclaimed the arrival of the long awaited Messiah, was cast into prison and beheaded. Many who believed, professed, and followed Him were cast out of the temple and spurned by the spiritual leaders of the day. From the start, pain and anguish marked the path he trod. When the Son of the Heavenly became the Heavenly Son of Man the entire world was turned upsde down, yet none of these days compares to the chaos and darkness that marred the earth on the eve and day of his Crucifixion. Can you imagine the torment and pain Jesus endured during the last 48 hours of His life? Can you comprehend the crushing force of mental and spiritual weariness that pressed down upon His human shoulders compelling Him to confess to His disciples “My soul is very sorrowful, even unto death”? Look ahead and let your gaze fall upon the rock where he obediently and patiently waits. It is sticky, colored crimson with the first of many drops of blood that He will spill willingly on behalf of mankind? Can you hear the vulgar sound of the wip as is sails throuth the air just before burying itself deep within the flesh and muscle of his chest, back, and sides? I marvel at the Love, the Father demonstrates for us, as he holds back the straining legions of stunned angelic warriors wide eyed and repulsed by the sight of the The Son of God, marred beyond recognition. Can you hear the collective groan of all creation as it bears witness to the rejection of the Son of Man by the Righteous Judge? Can you hear Jesus scream out “My God, My God, why have you forsaken me?” while His Father turns away disgusted by the condemning sins of the world born in love on the body of the Son in whom He delights? This was the epitome Chaos! 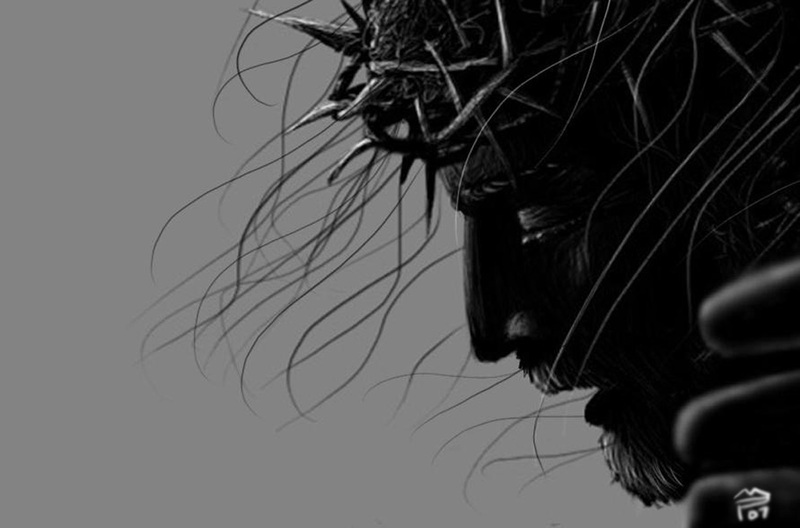 Alone, Missunderstood, Sold Out, Betrayed, Abandoned, Denied, Mocked, Falsely Accused, Denied, Beat, Physically Abused, Paraded, Chided, Denied, Humiliated, Crucified. He willingly stood among chaos, surrounded by sheer confusion and upheaval, YET every time a new figgure accused him, every time another hand struck him, every time a voice rose to proclaim “Crucify him”, He stood there willingly, obediently, gloriously. He was never withiout power, never stripped of His Diety. He was never afraid and never surprised. I love how our pastor put it today. Every step he took, from the garden, to the courtyards and secret chamber discussions with Pilate & Herod, were ordained by God. All events leading to His crucifixion were like a great chess match. 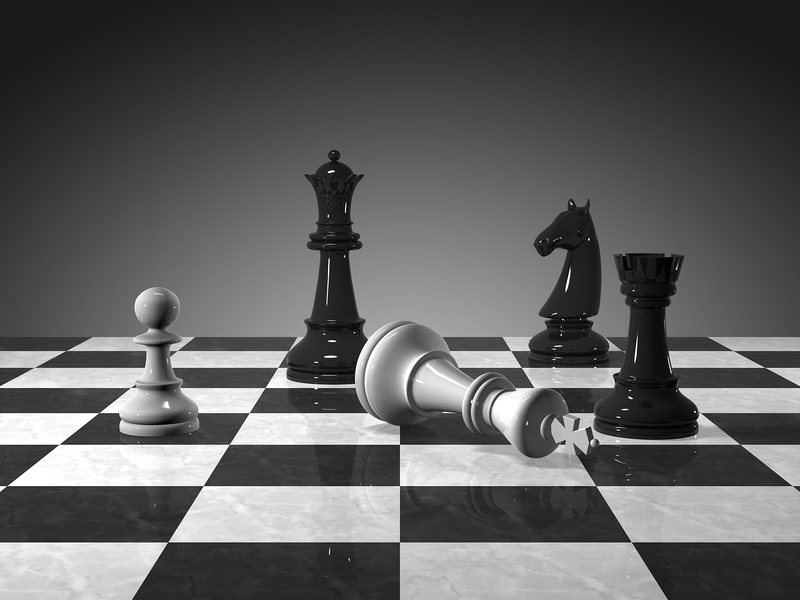 No matter how skillfully the opposition played their pawns, or how methodically they planned their moves, they could never outplay Him. In fact every move the Sanheidrin made was a move allowed by Christ- planned, ordained, and even foretold. They made no accusition, struck no blows, proclaimed no sentence except what the Holy Righteous, Loveing God allowed. He reigns amidst Chaos so you don’t have to! 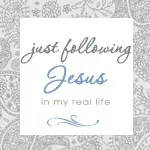 What does Jesus life and story do for you? Is your life chaotic? Are you confused. Look at the list above, do any of the emotions or abuses Jesus went through during His dark night, ring familiar in your heart? Are you alone and suffering in silent pain? Do you feel rejected, abused, abandoned? Guess what, your life and your trials are no surprise to Him. He sees all, understands all. Though man stands haughty and proud, exulting in sin at the expense of others, Christ is Lord of all. You are His Beloved Child. You have not been abandoned. You are not being punished. Do not think it strange my child He whispers. They hated you, they will hate me. Endure for but a little. I am with you. As you pass through this fire you will not be consumed. As you struggle in the flood of waters, you will not drown. Hang to my promise, there is a wealthy place. Your trial, like mine, sometimes deals death to the flesh, brings great sorrow to the heart, yet in those deathblows is life and glory, strength and honor. Not a hair from your head will fall that he does not see. Not one single word or offence can slice into your bleeding and hurting heart without Him knowing, allowing, using your pain to transform you and glorify Himself. What man intends for evil, God takes and transforms into beauty. Because He is God, he can take the most wicked intentions of man’s heart, turning the worst man has to offer into an instrument to produce the most beautiful works of God, healing, and strength. During the month of February we will have a number of guest bloggers who will be writing on specific areas of pain they have experienced. These will include singleness, abandonment, physical pain and so on. So come back each week to read the stories of these amazing women and the amazing God they serve and Love. 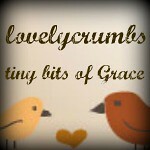 This week, I am excited to introduce Loxlia from Lovelycrumbs. Loxlia will be our guest blogger this week, and will be sharing how the Lord has used a specific pain in her life to draw herself to Him. Be sure and stop by her blog and read her beautiful words of wisdom and hope. I will introduce the February giveaway with her post so stay tuned for some exciting offerings. In his book Seeking the Face of God, Gary Thomas recounts the story of William Nelson, a general serving in the Union Army during the Civil war. As he reposed in comfort, in a place seemingly safe and sheltered from the dangers of battle, this man found himself facing the reality of death, when an errant bullet entered into his his body draining in mere minutes the days, years, and a future life which up to that point he had presumed upon. In that moment, Thomas asks that we ponder the one final and desperate plea this man made when he realized his life was seconds away from ending, “Send for the clergy man; I wish to be baptized.” Caught unexpectedly at the gate of eternity, this man realized he had but a few precious seconds to accomplish all that mattered most in his life, and at that moment, everything took a back seat to preparing his heart to meet his maker. In Psalm 90:12, A chapter in my Bible titled “A prayer of Moses, the man of God”, Moses implores “So teach us to number our days, that we may apply our hearts unto wisdom.” , and in James 4:14 James warns “Whereas ye know not what be on the morrow. For what is your life? It is even a vapor, that appeareth for a little time, and then vanisheth way.” The truth about life is that in lite of eternity, our days on earth are limited and few, but even more important, their number is not guaranteed. Death isn’t a respecter of persons coming only for those who accomplished their fair share of success, wealth, purpose, or happiness, It snatches the old and the young, the “important” and the “insignificant”, the weak and the strong, The only restraint death knows comes from the hand of God and as scriptures says “And it is appointed unto men once to die, but after this the judgment.” Heb 9:27 only God knows the day and hour. With balance and truth, we must consider this thought. As it is irresponsible of us to not allow the reality of our future and promised eternity to influence the present day in which we live, it would be just as irresponsible of us to stop providing for our family, caring for our body, paying bills, going to work……. thinking “what’s the use tomorrow I may die.” We have to place our dutys and responsibilities, our physical/worldly callings, as well as our spiritual calling in light of the fact that today may be our last opportunity to get “it” done, to do “it” right. If you are a woman, who like me looks(looked) for guidance and direction as you travel the uncertain road of singleness (or insert whatever season you are in) wondering if you are headed in the right direction, adequately preparing for what lies ahead, let me encourage you to take stock of where you have allowed your gaze to linger and fall upon. If your gaze is where it should be, upon “Eternity”, and reaching the place where you are prepared to meet Christ without any regrets or shame, all else will fall in line. If every decision, opportunity, fear, failure & triumph is viewed in the context of the death of my flesh and my transformation into the presence of Christ I can be confident I will respond, recover, and wisely make the right decisions. If I dare to ask moment by moment whether what I am doing prepares me spiritually to meet Christ or instead diminishes my impact for Christ and impoverishes my spiritual calling, then I will find the wisdom to make the right decisions and motivation to do what is not only best for me, but for others, and for Christ..
Our eminent death can empower us with great motivation and resolve or we can ignore the truth of the uncertainty of life, and find ourselves utterly shocked and filled with regret and shame when one day soon we realize heaven looms just minutes or seconds away. Matthew 6:34 “Take therefore no thought for the morrow: for the morrow shall take thought for the things of itself. Sufficient unto the day is the evil thereof.” Learn to shed the cares, concerns, worries, and trifles that do nothing to usher you closer to the presence of God and the finish line he has appointed for you to cross. Ask for wisdom to discern between “the Needful” Luke 10:42 which can not be taken from you, and the trivial and hollow distractions that will blind you from seeking and finding the face of God where you can bask in the peace and power of his presence. Being made conformable unto His death.